Do you feel like cleaning a pool cover isn’t necessary? Let Sunrise Pool Builders change your mind. It’s easy to get caught up in the whirlwind of being a pool owner; with so many responsibilities, you could forget about parts that don’t seem to need attention. After getting your free quote from us, you may be wondering about these responsibilities that will arise when you finally have the pool of your dreams. Do you feel like cleaning a pool cover isn’t necessary? Let Sunrise Pool Builders change your mind, and follow us along with these easy tips. These must be cleaned every three to six months. 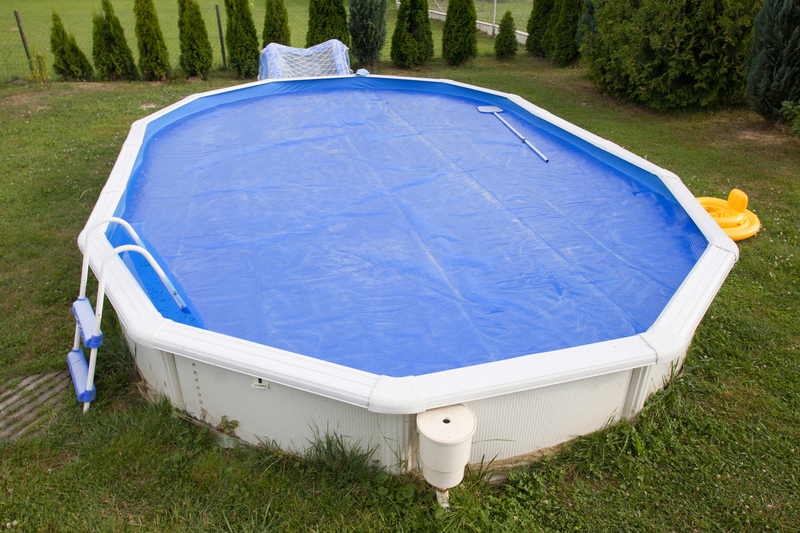 Pools contain chemicals, and when the water is evaporated by the sun, chemical residue can be left behind on covers and cause harm over time. Water level, snow and rain can cause extra stress which will lead to cracks and warping. To clean, reel out each section and use detergent and water to scrub. Make sure to lubricate the reeling mechanism so your cover continues to roll smoothly. And lastly, leave the cover off after you add chemicals–this can help retain the life of your cover. The process for a solid cover is much the same as an automatic one. One significant difference is that, because of how these covers are stored, mold can grow easily. To prevent this, check regularly when the cover is not in use for mold. Be sure to keep the cover dry, and check for rips and tears. Mold will inevitably grow on mesh covers, so be sure to use a mixture of water and bleach to scrub it away. Always leave the cover in the sun to ensure proper drying. Your spring tension should be set at half-compression, at least, so checking this will keep your cover functioning properly. Your anchor sockets should be cleaned along with the cover in order to protect the mechanism. You have to be gentle with these. Simply use water and a soft brush to scrub away any dirt or debris. Keep your cover out of the sun when not in use. This will make sure that the cells in the solar panels don’t overheat when folded in on themselves. And, as with the other types of covers, keep it dry! Worried about safety? Sunrise Pool Builders offer custom safety pool covers in our pool services package. If you’re concerned about your ability to take care of your cover, Sunrise Pool Builders have a maintenance service that offers a plethora of different packages. Our inventory is wide, and is sure to have exactly what you need to keep your cover clean. Contact us today, we can answer your questions, schedule a site visit and get you on your way! This entry was posted on Wednesday, June 8th, 2016 at 6:34 pm. Both comments and pings are currently closed.